INSPIRE is Indiana’s Virtual Online Library. INSPIRE is a collection of online academic databases and other information resources that can be accessed by Indiana residents. 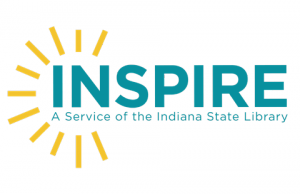 INSPIRE began in January 1998 as a project of the Indiana State Library, funded by a one-time development grant from the Lilly Endowment Inc. Since that time, INSPIRE has been supported by the Indiana General Assembly through Build Indiana Funds and the Institute of Museum and Library Services (IMLS) under the provisions of the Library Services and Technology Act (LSTA), and through a partnerhsip with the Academic Libraries of Indiana (ALI). INSPIRE includes full-text magazine and journal articles, websites, pamphlets, images, almanacs, full-text historic newspapers, multimedia, library catalogs, and much more. In most cases, INSPIRE provides cover-to-cover indexing and abstracts of all articles that appear in every periodical with the exception of some newspapers. Only letters to the editor, advertisements, and some images are excluded for copyright reasons.